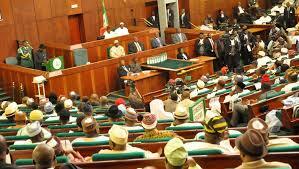 Nigeria’s House of Representatives commenced an investigation into alleged violation of the Electoral Act by political parties in the recently concluded primaries to choose candidates for the 2019 general elections. The resolution was sequel to a motion titled: ”Lack of internal democracy in the conduct of party primaries towards 2019 elections” moved by Rep. Abubakar Adamu at a plenary presided over by Speaker Yakubu Dogara in Abuja. The just-concluded primaries across party lines were said to be characterised by imposition, substitution, extortion, lack of transparency and other malpractices during the conduct. Adamu condemned the ruling All Progressives Congress (APC) for what he described as ”the lack of internal democracy” in the conduct of the elections. “Some parties brazenly refused to hold primaries in contravention of Section 87 (10) of the Electoral Act, which makes it mandatory for parties to hold primaries, thereby leading to crisis in some state chapters of political parties. He argued that if legislative measures were not adopted to address the trend, ”the National Assembly may, in the nearest future, be the assemblage of governors’ stooges to the detriment of our democracy and the interest of the electorate”.